When will be Spider-Man next episode air date? Is Spider-Man renewed or cancelled? Where to countdown Spider-Man air dates? Is Spider-Man worth watching? Spider-Man (1994) tells the story of a 19-year-old Peter Parker in his first year at Empire State University, and his alter-ego Spider-Man. The show features Spider-Man's classic villains, including the Kingpin, the Green Goblin, the Lizard, the Scorpion, Doctor Octopus, Mysterio, the Rhino, the Shocker, The Vulture and the Chameleon, as well as more recent villains such as Venom, Carnage and the Hobgoblin. Dr. Octopus and Alistair Smythe join forces with the Red Skull. Spider-Man brings Black Cat to the planet to help him. Along with Captain America, Iron-Man, and The Lizard (who has switched sides), they cross a wasteland in order to launch an assault on the Red Skull's empire. After defeating the Red Skull, Spider-Man and the team attempt to rendezvous with the Fantastic Four, only to discover that they have been ambushed and that Dr. Doom has kidnapped The Thing. The heroes all go to rescue him, entering Dr. Doom's empire, which they discover is a peaceful paradise. Spider-Man is taken to a dystopia where New York city has been demolished by the combined forces of the Hobgoblin and the Green Goblin, led by Spider-Carnage. The Beyonder tells Spider-Man he is to lead a group of Spider-Men from different dimensions to stop Spider-Carnage from opening up an inter-dimensional hole and causing an explosion that will destroy all realities and dimensions. In the last episode of the series, Spider-Carnage uses the time-dilation accelerator to construct a disintegration dimensional portal in an attempt to destroy all of reality. To stop him, the Beyonder sends Spider-Man to the Armored Spider-Man reality where he finds his Uncle Ben alive and well. Realizing the impact Uncle Ben had on his own life, he asks Uncle Ben to reason with the Peter Parker in Spider-Carnage. Plus, don't miss a special cameo from legendary creator Stan Lee! Spider-Man next episode air date provides TVMaze for you. 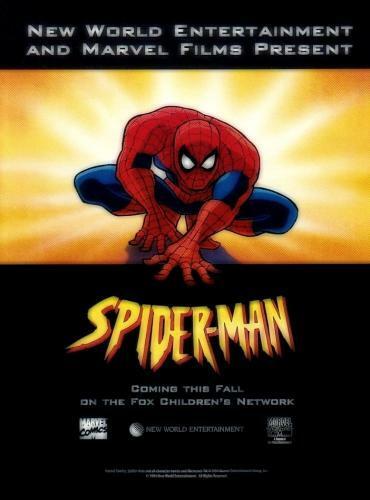 EpisoDate.com is your TV show guide to Countdown Spider-Man Episode Air Dates and to stay in touch with Spider-Man next episode Air Date and your others favorite TV Shows. Add the shows you like to a "Watchlist" and let the site take it from there.